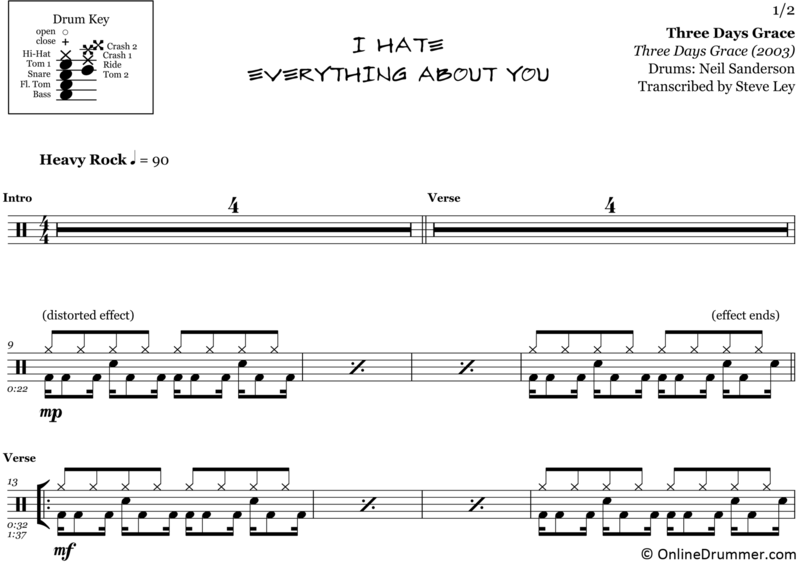 The full drum sheet music for “I Hate Everything About You” by Three Days Grace from the album Three Days Grace (2003). 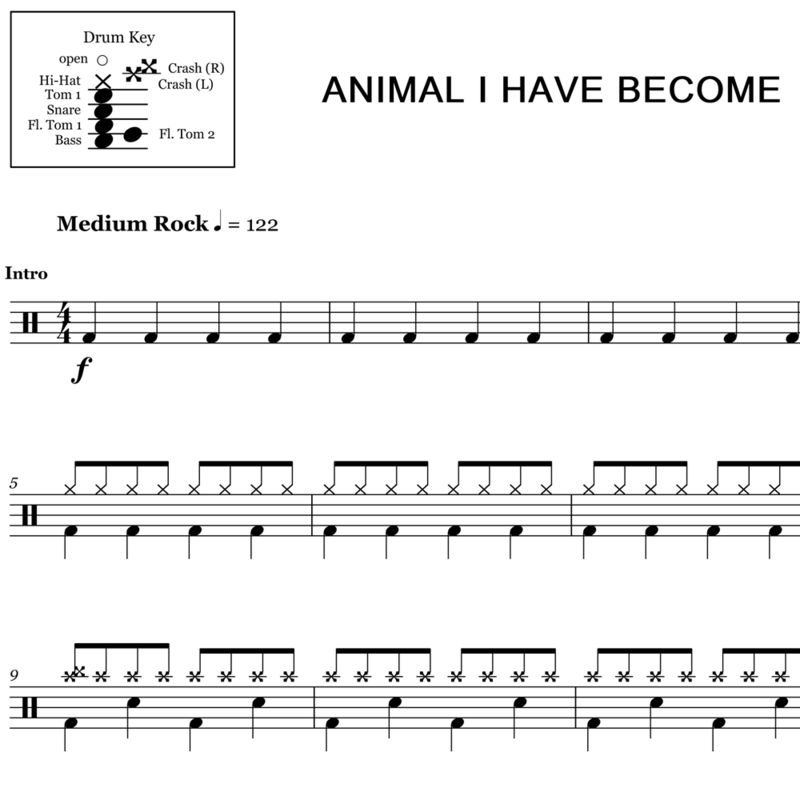 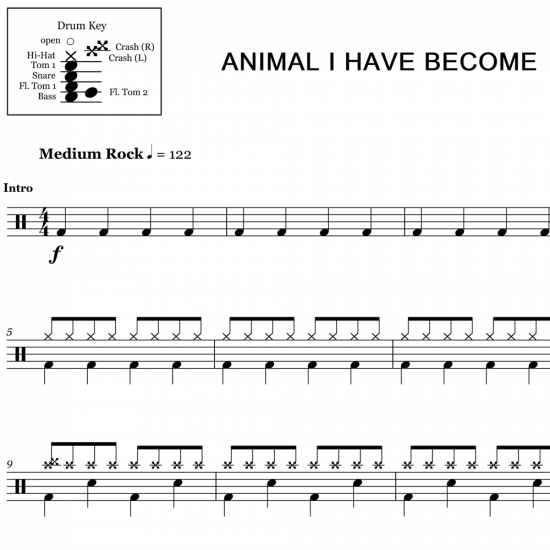 The full drum sheet music for "Animal I Have Become" by Three Days Grace from the album One-X (2006). 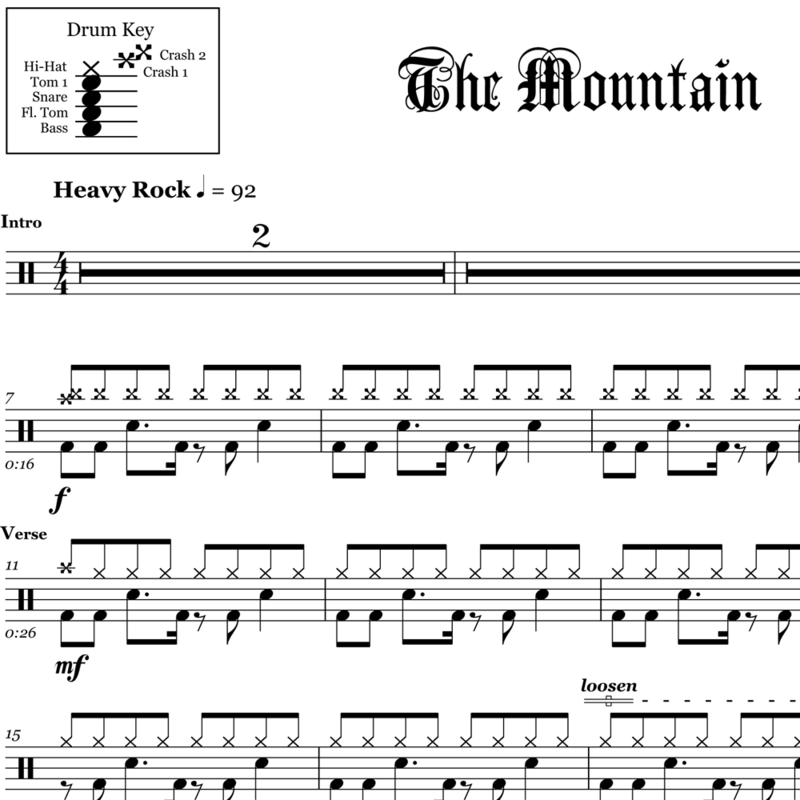 The full drum sheet music for "The Mountain" by Three Days Grace from the album Outsider (2018).